Jack Bridges had the vision and dedication needed to create the U.S. Open Swing Dance Championships, which has been the largest and longest running all Swing dance contest in the history of Swing dancing. (The Harvest Moon Ball, which ran from 1935 until 1974 in New York held other non-swing competitions.) Plus, he initiated the National Association of Swing Dance Events (NASDE), which established a tour of event directors who work together to promote Swing dance competitions. Jack began dancing to the music of his father’s band when he was a teenager. The band played at various dance venues in the San Diego, CA area and Jack’s exposure to this environment gave him the inspiration to promote dance events at an early age. He began by holding sock-hops at his local high school. 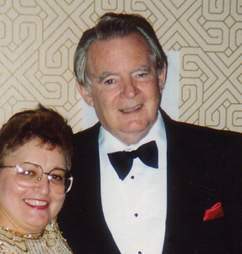 Jack competed in many contests over the years and won the IMIG Manor Hotel’s “Mississippi Room” dance championships fourteen weeks in a row with his dance partner, Kay Fox. Growing up in the San Diego area, Jack became very involved in the West Coast Swing dance community and eventually become president of the San Diego Swing Dance Club in 1977 – 1978. He later married Mary Ann Rogers who became his “right-hand” over the years. Jack Bridges always had a good business mind and a strong dedication to the Swing Dance Community. He felt that Southern California was the nucleus of both the best and the most Swing dancers in the country. Waking up in the middle of the night, he made the decision to create the “Biggest Swing Dance Event for Southern California.” He promptly asked Mary Ann for her support and met with numerous dance friends to help him promote the idea. Kenny Wetzel agreed to be the emcee and help bring well-known dancers to the event, and Annie Hirsch agreed to be his head judge and sell numerous tables of event tickets. With his network of friends, plus the support of his family, the U.S. Open Swing Dance Championships was born. Jack was lucky that Mary Ann had family, for her daughters were probably their best employees. The first several years were very difficult, requiring a tremendous amount of hard work. Jack knew that “Swing” was a passion of many dancers, but it had a different look in different parts of the country. The South enjoyed the Carolina Shag, the East was going strong with Lindy, and the West was dancing West Coast Swing. The word “Open” in the title meant that the event was ‘Open’ to all forms of Swing (West Coast, Lindy, Shag, Balboa, Jitterbug, East Coast, Jive, LeRoc, etc. ), and when the different styles came together, it meshed. Jack wanted to connect the Swing Dance Community – and he did! Jack and Mary Ann sold the event in 2000 and Jack Bridges passed away October 11th, 2003 from inoperable cancer at the age of 76.